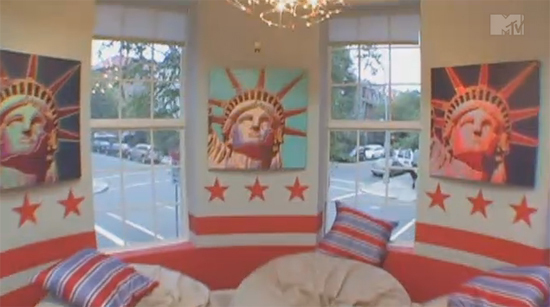 The LoveSac Lounge in the Dupont Circle Brownston was located next to the Bathroom at the southwest corner of the Brownstone. These windows look out to the intersection of S Street NW and 20th Street NW. 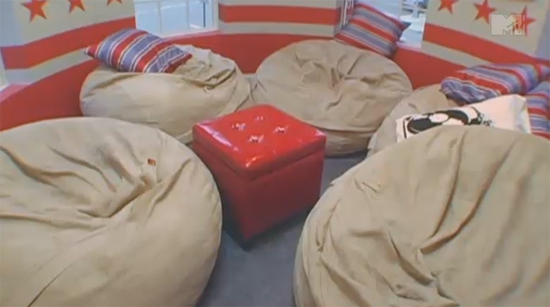 Another view of the LoveSac Lounge.